The tech giant made the decision based on DXC’s strong capabilities and skills in Dynamics 365. DXC purchased Sable37 earlier this year, making it part of its Microsoft practice, Eclipse. DXC Eclipse is one of the largest Dynamics 365 system integrators globally, helping more than 4,000 active customers complete digital transformation projects using the full suite of Microsoft technologies and applications. The enterprise credit management module by Sable37 helps customers automate credit policy application, maintain strong cash flow and reduce financial risks, extending the core functionality of Dynamics 365 for finance and operations. 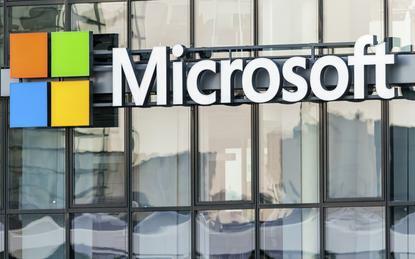 “Microsoft’s acquisition of the enterprise credit management module is excellent news for Microsoft Dynamics 365 for finance and operations customers around the world because every customer will now have access to this functionality in the spring release,” Martin Wildsmith, ANZ director at DXC Eclipse, said. Meanwhile, general manager of Microsoft Dynamics 365 for finance and operations, Muhammad Alam, said the addition of the new Sable37 enterprise credit management solution continues to deepen its cloud solution for customers with advanced credit management requirements.